expert advice, guidance and support to carry out this dissertation. I am indebted to all participants of this study for their valuable feedback. standing during the entire masters course. who always encouraged me to further my studies. 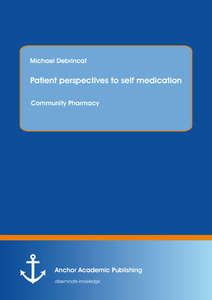 Title: Patient perspectives to self medication in a community pharmacy setting in Malta. Setting: National Pharmacy, Hamrun, Malta. Subjects: 200 people above the age of 16 years entering the pharmacy. tive and professional occupations were more likely to follow the directions on the packet. (31.5%) of the participants came across cases of OTC abuse. scale the perspectives of OTC use in Malta. per km² which is the seventh populated density in the world (Eurostat 2010). through out-of-pocket payment and private insurance (ibid). service to be available on a national scale was the end of 2008 (Times of Malta 2008). pharmaceutical care becomes a reality in Malta (ibid). must be sold by a pharmacist and supplied only from community pharmacies. registered medical, dental or vetinary practitioner, and supplied only from community pharmacies. restricted area in pharmacy) already exists in several provinces of Canada (Taylor et al. 2000). when providing a drug from a specific schedule (ibid). intranasal corticosteroids for allergic rhinitis and pantoprazole for gastrooesophageal reflux. 2% to 27% "to reflect prices on mainland Europe" (Times of Malta 2011b:1). the price of over 200 medicines which had been identified as higher than the EU average (ibid). buy various medicines through a number of channels (Times of Malta 2011a). and famotidine for the treatment of heartburn or dyspepsia were categorized OTC (Keen 1994). used incorrectly, it is a new chemical entity or it is administered parentally" (Sihvo et al. ask certain questions and provide additional information (Bradley and Blenkinsopp 1996). the switches that occurred in the UK from 2005 onwards have not yet materialised in Malta. (ibid). This could be that pharmacists do not feel confident treating patients OTC for cholesterol. third parties to consumers" (ibid:500). expect that patients are so attentive to details and are willing to be so regimented" (ibid: 555). Hence, one may doubt about patient's competence in self care (ibid). include serious reactions leading to hospitalisation (ibid). create additional drug related morbidity if not dealt with correctly by pharmacists and GPs (ibid). 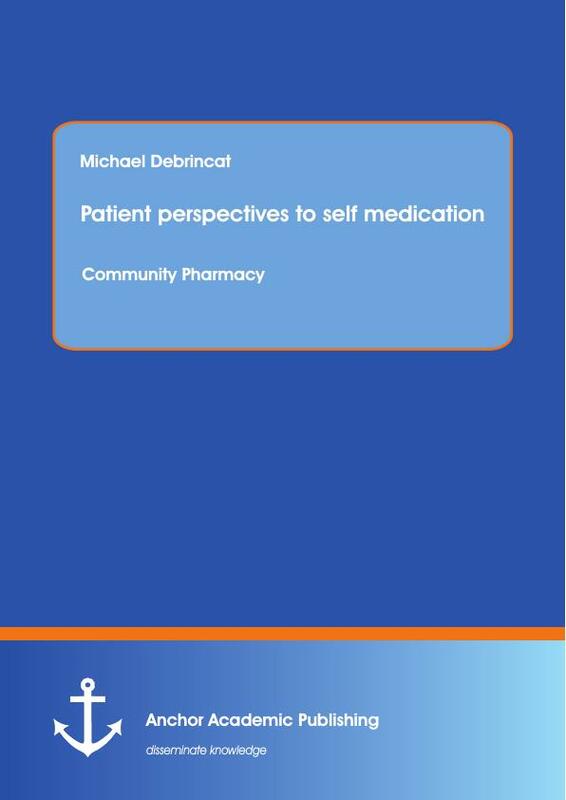 can manage patients self medication to maximise benefits and minimise risks (Keen 1994). tion between health professionals were each member can utilise his or her clinical skills. knowledge, to assist patients/clients and families with their health decisions." closely at how they can build stronger alliances (Bradley and Blenkinsopp 1996). `abuse' are often used interchangeably, but they have precise meanings in this framework"
dosage of a painkiller to treat headache). usually abused to achieve mind-altering effects or in some cases to achieve weight loss (e.g. misuse/abuse of OTC drugs is not as problematic as other types of drug abuse" (Wazaify et al. on the public has not studied the inappropriate use of OTC drugs (ibid). years on a regular basis (ibid). developed severe sensory and a mild motor neuropathy due to prolonged overuse of vitamin B6. Australia] as well as emergency hospital admissions" (Moles cited in Anon 2010c:1). antihistamines, sympathomimetics and laxatives (ibid). good health for those who believe that daily bowel evacuation is healthy (Hughes et al. 1999). referred to as "metabolic madness" and can result in renal damage (ibid). reports often involving teenagers seeking euphoric effects (ibid). symptoms usually disappear with cessation of the drug and supportive treatment (ibid). A and B, found in squill oxymel contained in the formulation as an expectorant (Fleming et al. excessive quantities of OTC products and where necessary, to refuse the sale (Fleming et al. medication" (Sihvo et al. 2000:496). patients, and other researchers have likewise found that patients use this information source"
couldn't do any harm and asked: What could be the worst that could happen?" (ibid:1). offer reassurance to patients about the safety of their medicines (ibid). drug interactions, adverse drug events and misuse of OTC medicines (Simoens et al. 2009). OTC medicines and diminishes the need for other distribution channels" (Simoens et al. nity pharmacist (Blom and Rens 1989).